It's not too soon to get ready for the Ooh La La! Paris Tour in May. You can start now by practicing going up and down stairs. 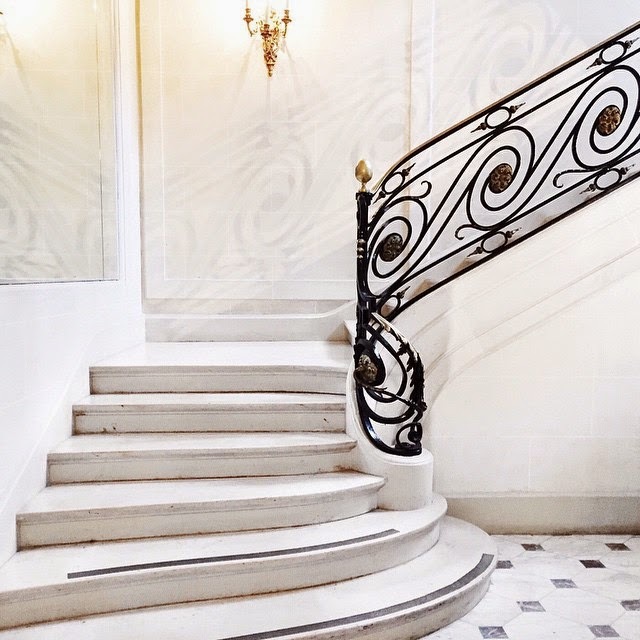 Here's a typical French staircase. 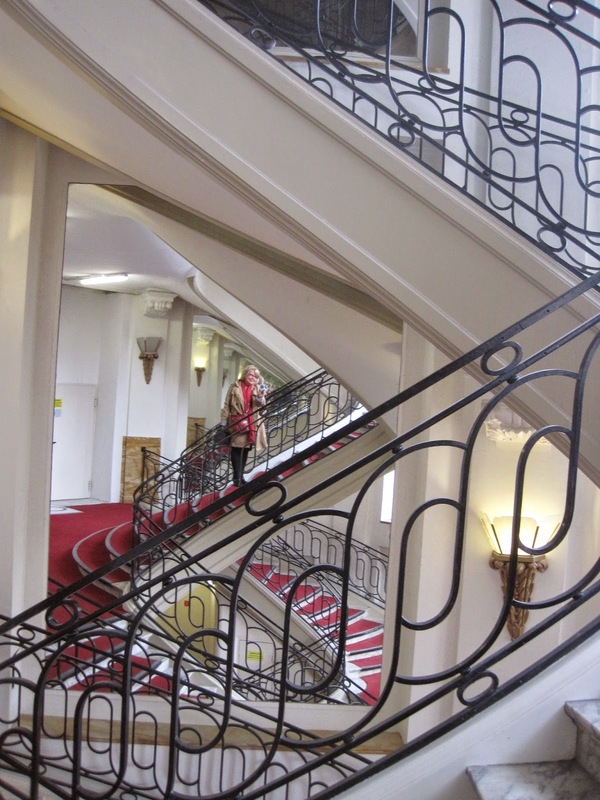 It may seem a bit daunting--the winding stairs, the marble floors the circuitous nature of the steps. But you know, it's very French and I do believe this is how French women stay slim. And this photo is from Printemps, the famous French department store in the heart of Paris. The mirrors create a bit of an optical illusion, but you get the idea--lots of stairs! All this is to say, walking up and down stairs is excellent preparation for an Ooh La La! Paris Tour in May! I'd love to hear how you get ready for a Paris Adventure, mes amis! P.S. I will be at The New York Times Travel Show in New York City on Jan. 24-25, as a guest of The Traveling Professor. If you'd like one of my 25 complimentary tickets to the show, please let me know as soon as possible. I'd love to meet you there! As a member of the first Ooh La La tour, I totally agree with Jamie, walk and walk some more AND include stairs in your routine. The walking we did is doable for all, but it will be a piece of cake if you prepare. I still walk steps instead of escalator as part of my daily fitness routine since Paris trip. Enjoy Paris!